Does it take your team more than 4 days to process an invoice? Are you missing early payment discounts? 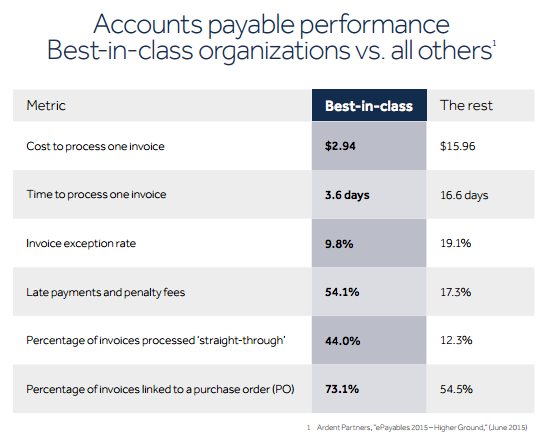 Is it costing you more than $3 to process a single invoice? If you answered yes to any of these questions, your accounts payable (AP) system might need a new solution. One more question: Are you ready to become an “AP Hero”? This is the name we give people who had the foresight and initiative to make their AP process better. Anyone can be an AP Hero, even if you’re new to your team, or not even in the AP department. If you put the work in now, it can lead to changes your entire company can appreciate, like saving time and money. PO matched: Invoices that match an existing purchase order and receipt of goods. Recurring: Invoices you expect from the same vendor(s) on a regular basis. Utility: Invoices for any items you use for production. Credit: Invoice issued back to you from the supplier. Non-PO invoices: Often a result of indirect purchases by non-AP employees. Smart routing. Invoices are automatically routed to the proper recipient(s) each and every time. Three-way-matching. Automatic matching of the PO, receipt of goods, and the vendor invoice. Exception handling. Rectifying the situation when a PO number and invoice do not match. Centralized billing. When billing for multiple branches or locations are consolidated and handled in one place. Manual entry. You can only manually enter about 1,000 invoices per month. A fully automated system can enter 5,000 invoices per month. Manual entry can also result in mis-keyed information ending up in the system. Unorganized office. If an invoice is mishandled or lost, the timeframe of resolving errors could add an additional 3 – 7 days on average. All the people, tools, and processes we mentioned in Section I should be working together seamlessly. A well-managed and automated AP process accounts for roadblocks, and if an error does appear, it’s immediately seen and fixed. Who’s in charge of managing invoice processing Invoices can come in from any department – Marketing, IT, Administrative Staff, and everything in between. Every company’s workflow with vendors and suppliers is different, though the accounts payable department is usually in charge of getting invoices in and processing them for approval. Invoice Automation: every step in your AP process, from procure-to-pay, is taken care of automatically. Did you know that that fully automated companies are 7 times more likely to capture early payment discounts than companies still using paper? That’s because their invoices are getting paid on time, every time. Everything is accurately entered, matched, and accounted for. Before automation, the AP department is just the team that pays your bills. Automation allows them to be a strategic asset, working smarter to analyze business processes, as well as negotiate and consolidate accounts. If you’re not convinced your team will be sold on the idea of changing your process yet, or you’ve sold it and need to know what to do next…jump right in to getting it done! 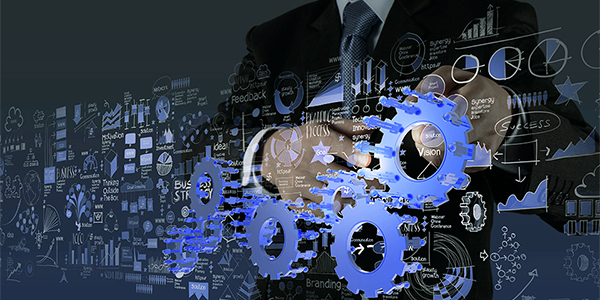 Automating your process can save your team time, money, and headaches. Be the AP hero who figures out how it’s done! Where do invoices come in? How are they entered into your current system? Who needs to approve them? How are exceptions being handled? Who is ultimately paying them? How many days does it take between each step? What about from start to finish (procure-to-pay)? How many invoices are being processed per month? Fully automated companies take 3.9 days on average to process and approve an invoice. Whereas companies still manually keying everything average 17.6 days from manual processing. And with the cost-per-invoice at almost $16, manual processing can cost companies a lot of money. Everything is digital, no paper invoices Some invoices are on paper Even split between paper and paperless Most invoices are on paper All invoices are on paper. If you process 2,000 invoices on average every month, you could save your company roughly $24,000 a month by switching from paper to automated paperless. Now that sounds like an AP Hero move! Determine what your ultimate goal is. Cutting costs? Saving time? Greater visibility? Look back to your audit and determine if any of the touch points in your current workflow can be removed or improved. In other words, does each step contribute to your bottom line? This is the part of the process where you could bring in other members of your team to get their opinions, too. How long would it take to implement the change? How many people would need to be involved in the change? How would this workflow change impact suppliers? Do we have the support of executives? Do we have the budget for improvement? Congratulations! You’re one step closer to becoming an AP Hero just by reading this article. We hope it helps you choose a better solution for your company. Here’s the thing, not every company is the same. Some businesses don’t process enough invoices to need a fully automated process, but they can still automate some parts of their process. For example, you can still set up automatic timely payments even if you need your payments to be manually approved. The industry mostly offers end-to-end rather than piecemeal solutions, but that doesn’t mean you can’t make it work if that’s what you need. When you propose these changes, explain that you won’t need to throw everything out and start over from scratch. You can always add on to your existing process, and enact changes one at a time. The “right” solution boils down to whatever is right for your team. Rescue your department with the knowledge, tools, and experts they need to soar.